So you’re getting ready to shop for a bike and aren’t sure what the difference is between a women’s bike and a men’s bike (or a unisex bike). 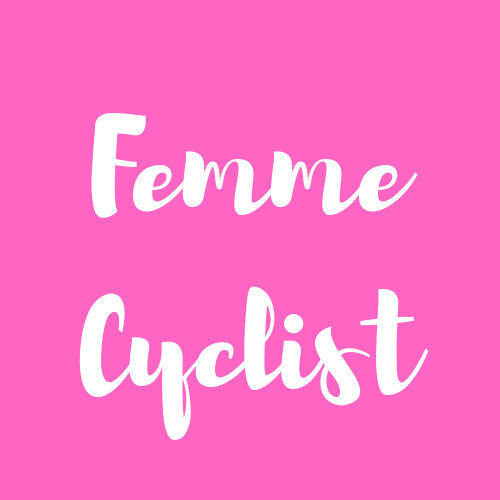 The truth is that all bikes are unisex bikes and that the difference between those that are marketed as “women’s bikes” and those that are marketed as “men’s bikes” is really only a difference in size and fit. Women tend to be shorter than men, have proportionally shorter torsos and longer legs, smaller hands, and narrower shoulders. That means that women’s-specific bikes are designed to address these differences in body shapes. Additionally, when we are talking about commuter bikes and cruiser bikes, women’s-specific frames tend to have a very low top tube that makes wearing a skirt manageable. The best bike for you will be the bike that fits you best, regardless of gender. Visualize your three best girlfriends. Are they short, tall, slim, stocky? Chances are all three have very different body types. One probably has long legs and another has short legs. One has narrow shoulders and the other has wide shoulders. Making broad generalizations about the body type of an entire gender just doesn’t work. 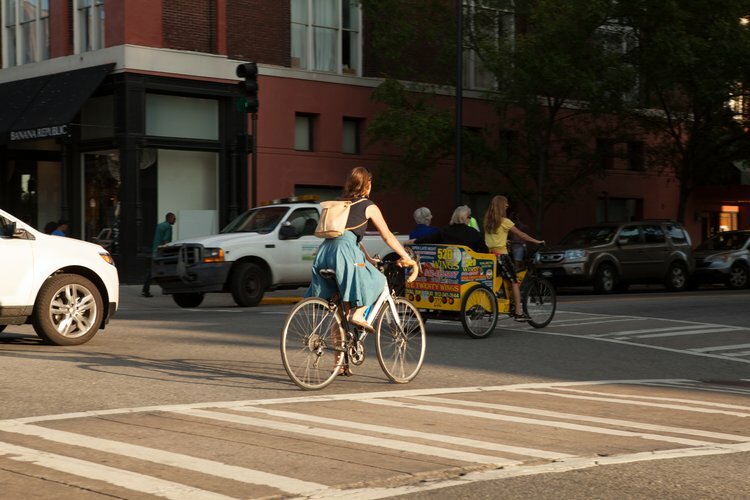 Most women’s-specific bikes are designed for shorter ladies with long legs, short torsos, and narrow shoulders. If that’s you, then great, you’re exactly the kind of person that can benefit from a women’s specific bike. If that’s not you, then the best bike is probably are regular ol‘ unisex bike. Even for smaller ladies (I happen to be one), you might be best served by a unisex bike. I would certainly try out several bikes, both women’s specific and unisex, before making a decision. Don’t just limit yourself to “women’s” bikes. Within the bike industry (and plenty of other industries for that matter), the biggest criticism of women’s-specific gear is that it has been a “shrink it and pink it” effort. Meaning, that a women’s bike is the exact same as a men’s bike except smaller and made in prettier colors. The whole thing was a marketing ploy. That is still true in many cases, but there are other brands (such as Liv) that are truly creating bikes that better serve many (though not all) women. Women tend to have shorter torsos, longer legs (proportionally) and shorter inseams then men. Therefore, the biggest benefit of women’s-specific bikes are smaller frames with a shorter top tube. Many exceptionally petite women have a tough time finding a small enough frame from the traditional bike manufacturers. This is probably the most overlooked, but most important, benefits to buying a women’s-specific bike for very short riders. Most bikes, regardless of frame size, come with standard size cranks. That said, shorter riders benefit from shorter crank arms. Having cranks that are too long can lead to knee pain and other issues. This is an issue I’ve struggled with my entire life as a cyclist. I have small hands and often struggle to reach the brake levers. Shorter reach brake levers can make a big difference for ladies with smaller hands. Generally speaking, women have narrower shoulders than men. This means they are often better served by a slightly narrower handlebar as well. The one time I would caution against this idea of a narrower handlebar, however, is on a mountain bike. Wider handlebars actually provide better stability and handling, and I’d urge women at least to try the wider handlebars first before swapping them out. The one place that all women are different than men are below the belt. A seat created for female anatomy can make a big difference in how comfortable you are on the bike. Because women tend to have shorter arms and shorter torsos, a shorter stem (the piece that connects the frame to the handlebar) is often called for. For me, I’m a big fan of unisex road and mountain bikes. The one bike, however, that I really do like having be women’s-specific is my commuter bike. The defining feature of “women’s” bikes, historically, was the step-thru frame. This means there is a severely sloped top tube that makes it easy to step on and off of the frame withoug lifting a leg. This is less of a thing nowadays, but for around town riding, I still really like having a step-thru frame so that I can wear a skirt without flashing anybody. 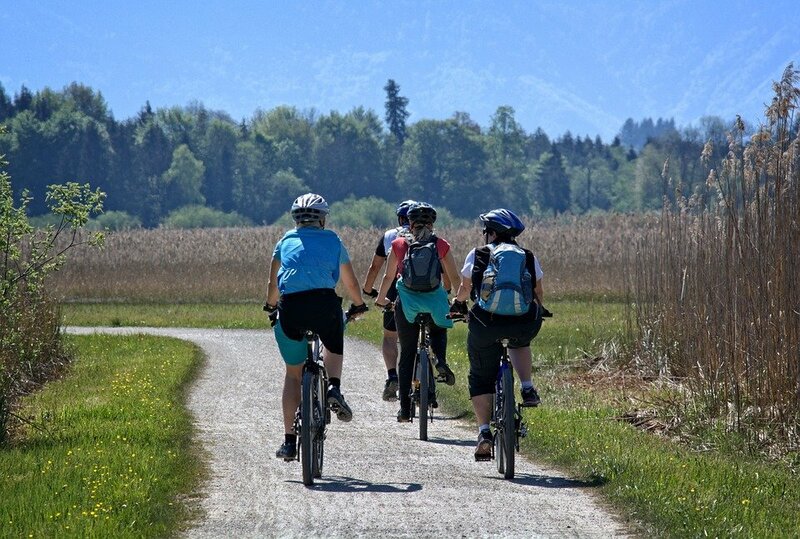 If you are a skirt or dress wearing gal, opt for a women’s specific bike. When you buy a bike, that configuration is just a starting point. You can always add a women’s saddle, a shorter stem, or narrower handlebars. This is often a good way to customize a unisex bike to your particular body type and needs. Additionally, if your rationale behind behind buying a women’s bike is that it looks prettier, consider also that you can add all sorts of components to customize it. On a commuter or cruiser bike, add a basket. For a mountain bike, throw on matching grips and saddle. On a road bike, add some colorful handlebar tape. The sky is the limit when it comes to customize your bike to match your style and taste. There is nothing about a “women’s bike” that should preclude a man from riding it. (Well, except maybe the saddle, but that’s easy to swap out). Shorter, smaller men (and teen boys) may often find that a women’s bike is the best fit for them. There are some brands (like Pivot) that are getting better about creating a larger size-range of unisex bikes. Rather than making a S, M, and L frame they are adding XS and XL options as well. We really like this approach, for both men and women, as it focuses more on creating a wide range of options for a wide range of body types rather than on making it a gender issue. 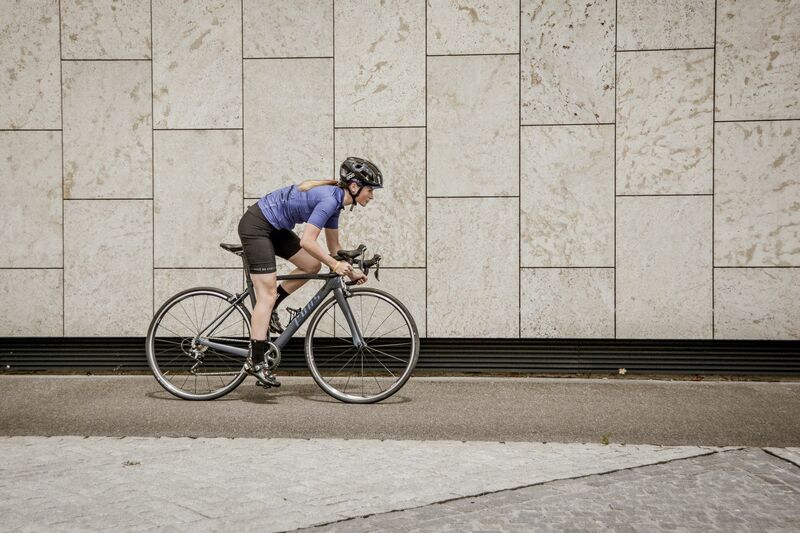 The best bike for you might be a women’s-specific bike, or it might not be. The best bike is the bike that fits your body. Spend some time testing out different bikes, learning about bike sizing, and if you’re serious about being comfortable on the bike, maybe even spring for a professional bike fitting. Whatever kind of bike you’re looking for, we’ve probably rounded up a list of our favorite options. This is a good place to start your bike shopping.